" Vintage Rice Paper Napkins." 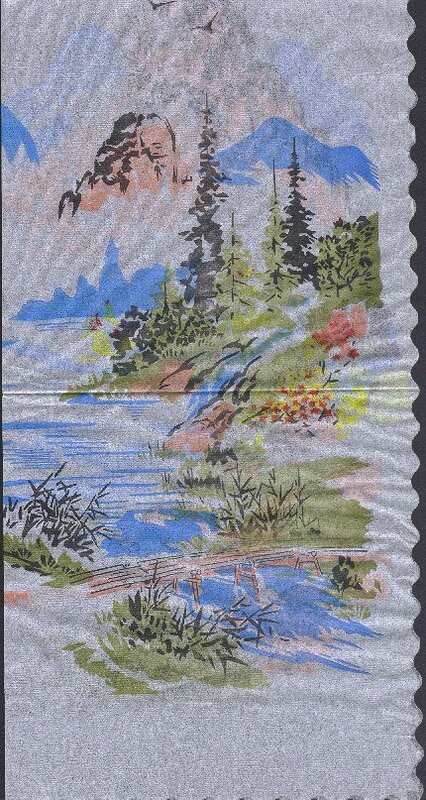 (1171) Vintage Rice Paper Napkins. Condition: Very Good Beautiful and delicate Rice Paper Napkins. White background with beautiful oriental art work. Scene of mountains, lake and trees done in pastel colors. There are two napkins available. Price: $3.00 each + shipping.